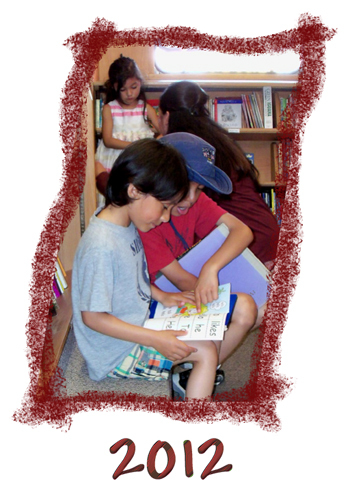 You are currently browsing the Bookmobile News weblog archives for April, 2012. It’s been a marvelous end of winter and beginning of spring for the Free Bookmobile. We dodged the rain with dry weather on almost all scheduled event days, and our turn-outs have been growing as word of our excellent service spreads. Fortunately we’ve been chronicling our journeys so that you can enjoy the sights from the comfort of your computer. Please take a moment to pop over to our “Photos” page on the website and check out the spring 2012 gallery. And remember, you can always see the very latest photos and other up-to-the-moment news on our Facebook page (http://www.facebook.com/freebookmobile) which you can view even without joining Facebook. Let us know what you think! We need your dictionaries! We are completely out of stock at the moment, and dictionaries are, as you might expect, one of our most popular titles. Lots of families in this county don’t have a single dictionary in the home. We can use whatever you can spare, for both children and adults, the more recent, the better. Bilingual dictionaries and other standard reference texts like atlases and thesauruses are also welcome. Please spread the word, and thank you!